Log into your account on the Profit Rhino web portal. 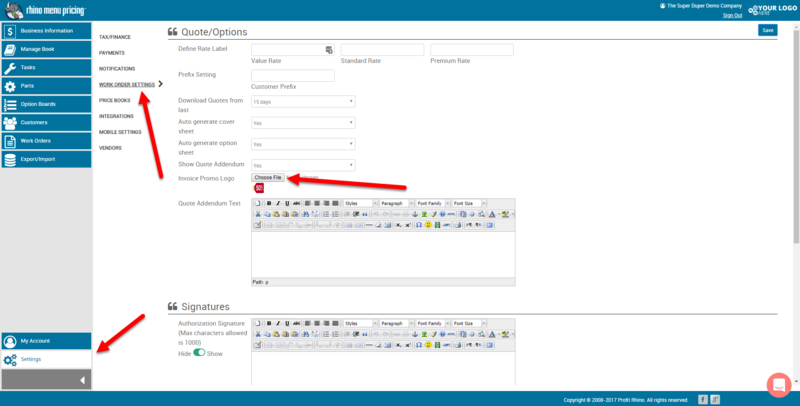 Click the settings section on the left tool bar. 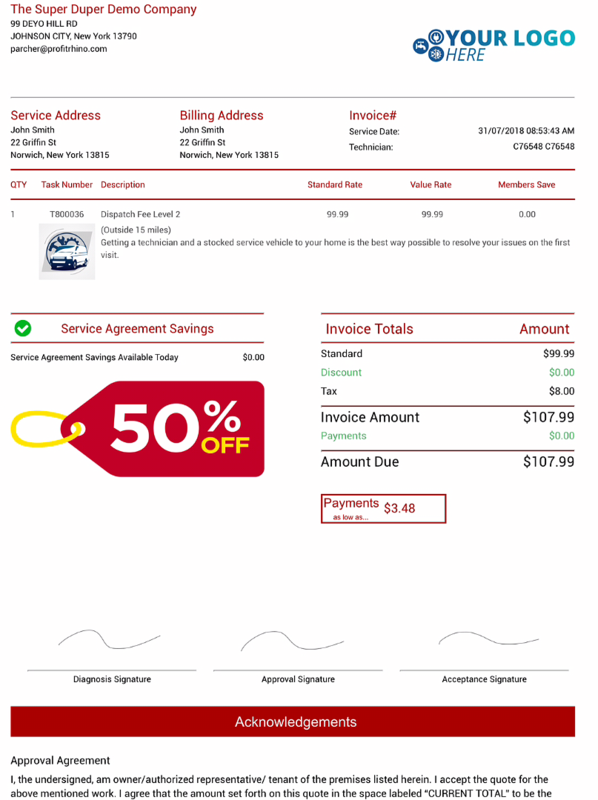 Look for the label, "Invoice Promo Logo" with a choose file button next to it. Once you've done that, just resync your mobile tool and you'll see the new image on your quotes and invoices. Good luck!